I walked down the hall reading a article on my phone as I made my way to the cafeteria,sometimes I swear the time just flys by its already lunch. I pocketed my phone as I neared the cafeteria hearing the roar of the hundred of students voices eating lunch get louder as I opened the door. I looked to the usual corner where Jack, Felix and cry sat and saw it was empty. I shrugged figuring they went outside to eat since it was such a beautiful day. I exited the lunch room to the outside eating pavilion, I adjusted my backpack on my shoulder as I looked around. I then heard the loud voice of Felix. I followed the voice to a table in the far corner. I heard Felix yell again as I neared hearing cry snicker, as I neared I frowned I didn&apos;t see Jack. I came closer dropping my bag next to a chair as I pulled it out. Felix looked up from his lap and smiled then gave me a weird look. "where&apos;s Jack?" I shook my head." I was going to ask you the same." Felix frowned again looking around for Jack. "he didn&apos;t come to lunch. So I figured he was with you." I began to worry a little but I pushed the feeling down. I looked at cry whose mask just stared blankly back at me. "do you know where he is?" Cry placed a hand to adjust his mask before speaking. "well I talked to him before lunch, but last I saw him he was heading this way. Are you sure he ins&apos;t in the lunch room? "I shook my head the feeling rising again. I pulled out my phone opening his contact and called him. It ringed once before going straight to voice mail. The feeling was beginning to build as I pocketing my phone again. Felix looked at me slightly concerned. "who did you call?" I sighed worriedly," Jack...it rung then went straight to voice mail." Felines frowned pulling his phone out too. He pulled it to his ear but pulled it away concern across mph is face. My heart beat quickened as he shook his head." He didn&apos;t answer for me either..where the hell is he? "cry straightened up looking around. "maybe we should look for Jack." I nodded looking at my watched. "We got about a hour until the next class starts so let&apos;s go." I stood at my locker putting my stuff in there so I could go to lunch. I shut the door locking it I smiled as I pulled out my phone seeing I had enough time to see my favorite teacher. I began to walk to the class when my phone vibrated. I pulled it out seeing the message that flashed across the screen. I frowned looking at the number. I shrugged figuring it was a the wrong number so I replied back. As soon as I sent it I got a message back. I was little creeped out but I was curious on what it was. So I decided to head over to the  locker room. My locker room wasn&apos;t too far so it wasn&apos;t long till I came to the locker door. I looked around seeing no one so I decided to head into the locker room. As I walked in I was greeted by the smell of chocolate cologne. It was similar to what Mark wore so of course I was little confused. I looked around the locker room finding no one. i frowned feeling my phone buzz again. I was officially Creeped out, i when to the back of the locker room where i found a door with my name on a paper written cursive on it. I jumped as the bell rung signaling that lunch had begun, so much for stopping by Mark&apos;s room. i sighed taking the Paper down then opening the door slowly. i peeked in seeing a picture frame with a picture of me laughing at lunch in it. around my picture was a box a chocolates and rose petals. i began to back up feeling uncomfortable at what the situation was becoming. as i backed up the store room door suddenly shut. i stumbled back almost falling onto the shrine of me. the room was completely dark so i couldn&apos;t see anything, but i could hear movement. i swallowed my fear mustering up the courage to speak. "W-who&apos;s there?" my voice came out as a stutter of fear. i then felt a hand brush my cheek and a whisper. "Shush now Darling..it&apos;s time for your .....surprise.."i felt my body tense up as i heard the voice, it was a males and from what i could tell they were very close. i tried to find the handle to the door to get out my anxiety rising. but instead my hand landed on a soft surface that slowly raised and fell in sync with breathing. i felt my Blood cold as i realized i was touching a who. i then felt a hand make it&apos;s way to my face where it gently gripped my chin. i froze terrified what was about to happen. i felt my phone buzz i went to grab it but another hand grabbed it turning it off. i tried to back away when i felt a cold hand run Down my shirt to my Jeans, i gasped scared"Wh-what the hell! No fookin stop!" i heard a chuckle then lips crash against mine. i panicked and i tried to push them off but they gripped my hands keeping from, i squirmed in their grip trying to get away. who ever was kissing me started to push me against one of the walls, snaking their hand further Down, trying to get their hand in my jeans. i tried to shake there hand off but they then forced their tongue in my mouth, i immediately bit their tongue. i felt them loosen their grip and pull away from my mouth. i gasped for air, pulling my hands free and pushed them off of me. i head them stumble back and curse. i quickly searched for the handle, wanting out of this hell quickly as possible. i found it but my hands were sweaty so i couldn&apos;t get a grip on the handle. i walked down the hall looking for jack when a door close. i followed the sound to the locker room. i opened the door peeking in seeing no one was in there i frowned catching a sent of what smelled like my cologne. i was about to leave when i heard a loud thud from the back of the room. i stepped in confused. again i heard the thump, i looked around the corner seeing nothing but again i heard a thud. i Spotted the store room door. "what the hell?" i then jumped a little as i saw the handle frantically shaking. I grabbed the handle thinking it was a student locked in the room by jocks. i swung the door open and someone fell forward yelling. i caught them, i helped them back up about to ask them who had locked them in there when i realized who it was."Jack? what-" he stopped me by throwing his arms around me. "Oh my god! thank fooking God You&apos;re here!" he looked back at  the Dark store room where a growl and low cursing was heard. I looked in the store room seeing a outline of another person in there. i leaned in the door turning the light on. A student instantly covered there face. Jack stood looking at them looking kinda scared and uncomfortable. the student then moved there arms blushing a crimson red. i heard jack cuss inching closer to me. I looked at jack then at the Jock who stood in the store room. "What is going on here?" My voice rising as grew angry at the situation at hand. Jack was the first to respond. "This guy here  forced himself on me!" the jock whose Jacket read T. Reddingham spoke stuttering. "I-i did no such thing. i came in here and the J-jack shoved m-me in here and started kis-kissing me even when I t-told him n-no!" jack immediately shoot back."Bullshite! i walked in to the store room finding a shrine and then the door closed and this perverted shite shoved his hand in my Jeans!" The Jock stood unable to speak, i saw jack wipe his mouth off. . i looked at the Jock glaring at him. "Office now." the Jock went pale. "B-but-" My anger rose to unhealthy levels. "I said Office!" the Jock Jumped running out of the locker room scared straight. As soon as he left, i felt Jack throw his arms around me, burying his head into my chest. i wrapped my arms around him as i heard him sniff and cry. "S-sean it&apos;s okay..i&apos;m here now." i heard him crying and mumble. "I-i was so scared in there. 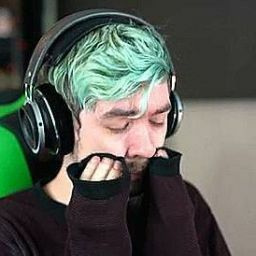 It came out of fookin&apos; no where..i tried to make it stop but.."He began to sob more he began to slide down in my arms so i held Jack close sitting on the floor, trying to calm him down as he cried into my chest. "Shhhh..its okay i&apos;m here..